Evangelicals have reached a critical impasse. 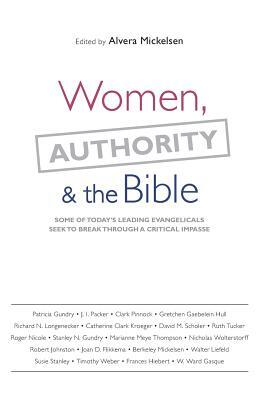 Advocates of more traditional roles for women say the heart of the matter is biblical authority. Those supporting more open roles say the crux is not biblical authority but biblical interpretation and application. What are the real issues in this controversy? How can we make sense out of key passages in 1 Corinthians, Galatians, Ephesians and 1 Timothy? How can legitimate change be encouraged in the church? How can we keep in mind that the decisions we reach affect living, breathing human beings? The twenty-six evangelical leaders represented here, all participants in the Evangelical Colloquium on Women and the Bible, ask the hard questions about women's roles. Not all of them agree on everything. But they do agree that we must begin with the question, "What does the Bible teach?" They also agree that too often poor exegesis has been used to advocate positions on either side. Here support for women's ministry allies itself with scholarly rigor in the effort to break new ground. Essential reading for all concerned about women in the church.